Relax-the-Mind Sleep Therapy is a drug-free, holistic approach to insomnia and similar common sleep problems. It is an integration of sleep hygiene, behavioural interventions, mental relaxation, and psychological therapies. It is recommended both as a first-line and long-term treatment. Relax-the-Mind Sleep Therapy incorporates the most effective, scientifically proven techniques from several well-researched therapy models techniques, such as Cognitive Behaviour Therapy (CBT), Mindfulness-based therapies, Gestalt therapy, and non-trance elements borrowed from hypnotherapy. It is a highly effective strategy for tackling insomnia and similar sleep problems. Relax-the-Mind Sleep Therapy is a drug-free treatment for insomnia and common sleep problems. 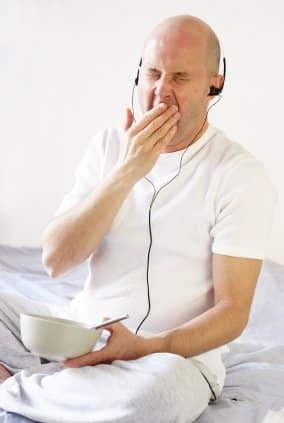 It does NOT have the negative side effects that sleep medications have, like daytime fatigue, impairment of cognitive process, impairment of coordination, or increased risk for accidents. Relax-the-Mind Sleep Therapy is based on techniques that have been scientifically researched and proven. It integrates physical and mental relaxation techniques, psychotherapy, behavioural interventions, sleep hygiene, stimulus control, and cognitive therapy. Relax-the-Mind Sleep Therapy addresses sleep problems holistically, by relaxing the nervous system over-activation, i.e. the “fight-or-flight” response, in both the body and the mind. Relax-the-Mind Sleep Therapy teaches you a set of simple practical techniques. You learn these techniques by practice, so that you are absolutely sure how to use them. Once you have learned these techniques, they will remain with you forever. Hence, if your sleep problems should ever return, the remedy will always be at hand. Relax-the-Mind Sleep Therapy techniques can also help you deal with stress, approach life in a mentally and physically relaxed way, and generally maintain a balanced mind.